I often use Fargo to compose posts on my wordpress.com blog. 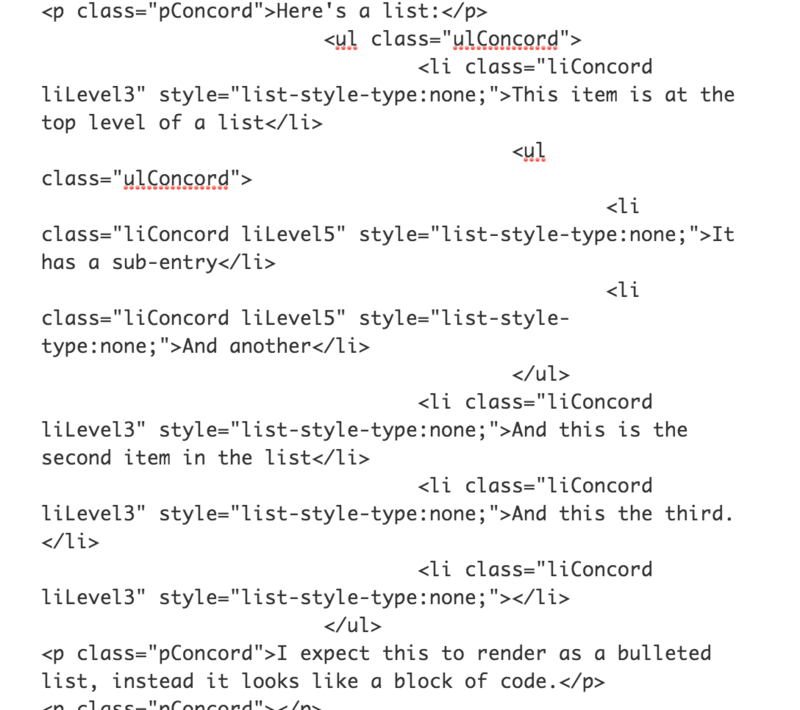 But I’ve just seen a problem with formatting when you use the outline structuring for a list. I expect this to render as a bulleted list, instead it looks like a block of code – except when I updated the post with the following screenshots, the formatting was automatically corrected.